Tennis players from Wales will be contenders in the Junior Wimbledon Championships Doubles competitions held at the All England Lawn Tennis Club, 10th July – 15th July. In the boys event 17-year-old James Story from Cardiff, South Wales, will partner Harry Wendelken from England. In the girls event 16-year-old Morgan Cross from Mold, North Wales, will unite with Amelia Bissett also from England. The tournament will see the best juniors across the world compete to place their names in junior Grand Slam history. 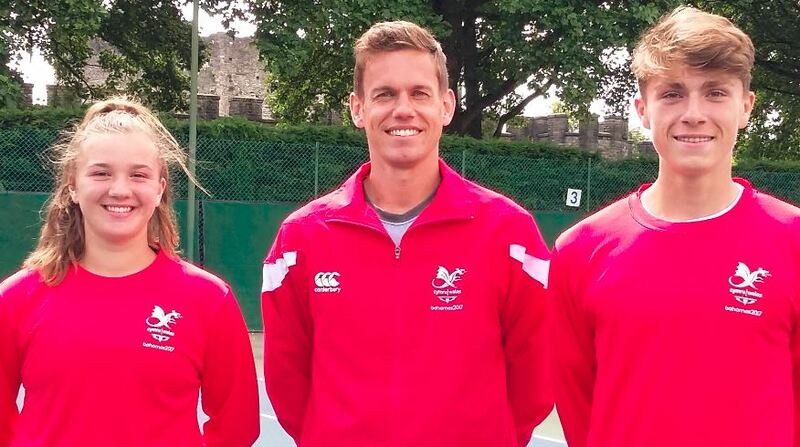 Team Wales Manager, Chris Lewis, said: “James and Morgan are two of Wales’ leading junior players and both have earned the opportunity to compete at Junior Wimbledon through their dedicated efforts over the last 12 months. They have both won a number of international doubles titles and will rightly feel that they can win matches against some of the best players in the world this week”. The Welsh juniors have both reached the final stages of numerous International Tennis Federation (ITF) doubles tournaments in the last year. Cross has claimed four ITF doubles titles, three of which partnering Bissett. Similarly, Story has claimed two titles, one alongside Wendelken which adds to their 16U British National Doubles Title. James who trains at Cardiff Metropolitan University and Morgan who trains at Bath University, represented Wales in the 2017 Youth Commonwealth Games in the Bahamas. Here, James achieved a Silver Medal in the Boys Singles and joined Morgan in the Mixed Doubles to gain Bronze Medals. The welsh duo have also found success representing Great Britain in their respective U16 European Winter Cup competitions in 2017, with the boys team becoming European Champions. Tennis Wales CEO stated: “This is well-deserved recognition for Morgan and James and a proud moment for Wales and for the players. The last Welsh player competing in Junior Wimbledon was Evan Hoyt in 2013 and to now have two players there is a terrific achievement for Welsh tennis. We are committed to supporting our talented junior players as best we can to help them to achieve their goals and we wish James and Morgan the best of luck for their first matches at Wimbledon”.